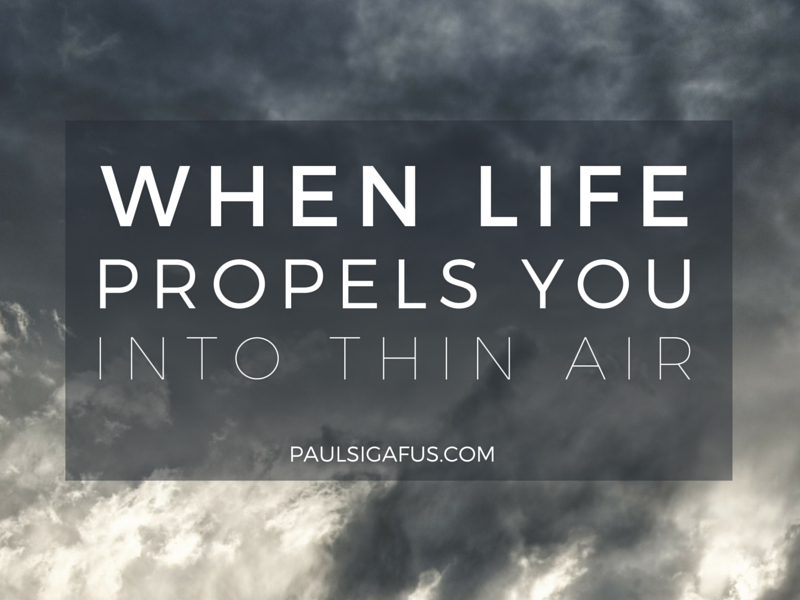 Your life is full of thresholds — moments when unforeseen circumstance, choice, tragedy, or the inescapable momentum of life propels you to the extreme edge of all you’ve known. A fundamental shift in your relationships. A courageous change, but one that terrifies you all the same. In this very moment you might stand on the brink, teetering on the threshold of crucial change. In your heart, you know that you cannot tarry where you are — the old ground can no longer support you, and already begins to crumble beneath you. Your heart compels you to move to the edge, and to ready yourself for the leap toward new, but far distant and barely visible ground. Sometimes life hijacks, then catapults you, startled and disoriented, into a future you never saw coming. One piece of news can dislodge the entire trajectory of your life. At other times you summon all of your faith and courage to hurl yourself from the threshold of the familiar into a dimly glimpsed future. Whatever propels you into the thin air, eventually you feel yourself suspended in the harrowing gap before the impact of landing in a future that is foreign to you. You’re not going to know exactly what’s coming next, or when you’ll feel truly grounded again. Sometimes that feeling of suspension can last a very long time. Even if you’re a good person, life will not spare you from times of uncertainty and groundlessness. Some friends of mine recently experienced this. These friends are people of common struggles, but uncommon compassion; they have an astonishing sense of care for the marginalized and the dispossessed, and are raising great kids. After a painful and prolonged stretch of ambiguity about their future, they decided to launch off the edge and move their family. Shortly before their move, I went to lunch with the husband. Although he and his wife had a deep sense that their family needed to make this move, it also came with unmistakable sadness and some anxiety as they and their children uprooted from this community and began anew in a far-off place. The most heart-rending part was hearing my friend talk about his children (two of whom are nearing the end of high school) and how hard it was to watch them say goodbye to their friends. I miss them. And I have so much admiration for their courageous leap into the future. You can resist change, or decide to numb-out from your life. You can allow the walls of fear to close in on you, and try to confine your future to only what feels familiar. You can just go through the motions, and move into a smaller, hollowed-out version of yourself. But making any of these choices will not stop the onward flight of your life; time will still force-march you right off the ledge and into your future. Having succumbed to fear or apathy, you’ll just experience the leap as a victim or a spectator. In reality, your entire life is a threshold — a brief gap between birth’s invocation and death’s benediction. Then you’ll lift off of mortality’s threshold into the future beyond. Your time in this life is so short — and it will soon be gone. The void of your future can only be filled by you. Your only choice is how you will inhabit it. I don’t know what changes you face. I don’t know what difficulties lie in your future, or when life will throw you into the unknown. I do know that those times will come though, without fail. There are so many people you know today who might need this message; please share this on Facebook by clicking the button below! And, as always, feel free to leave any thoughts or comments—I love to hear from you. Life is full of changes. Life is all about changing, becoming, transforming. I heard someone say today, that if we are not changing we are dead. We are alive but not living. Beautiful Paul. This makes me think of the need for mindfulness in this life…being present during the wonderful times, and during the terribly frightening times of uncertainty and change. To me this sense of mindfulness means embracing relationships and holding on to what is real and often right in front of you: people you love and who love you. Those people are the ones that will hold you up when you are free falling, and those that will rejoice with you during times of great joy! Thank you for your insightful thoughts. Yes, yes, yes, Amy. Mindfulness takes such gentle persistence, doesn’t it? When I am mindful of the life I am living, right now, things go so much better. I’m calmer, connected, and more content. Thanks for sharing!